The Celebrity Race kicks off at 2.30pm on 2 December. Come down and make some noise! Yes, he’s back! The one and only ‘Weirwolf’ will once again be lending his mythical magic to #TeamBarclays. Grab your chance to unite with this racing giant. The comedian, Last Leg frontman and Paralympics commentator returns to brighten our festive extravaganza for the second year running. For your chance to hang out with one of the funniest guys on this planet enter our competition now! We’re so chuffed to welcome back this sporting superstar! The 26-year-old, who sprinted and cycled her way into the history books after becoming the first British Paralympian to win gold in two separate sports in over 30 years, can’t wait to meet her super teammate. This British para-equestrian won two gold medals at the 2012 Summer Paralympics and went on to top this amazing haul at Rio by coming away with three! 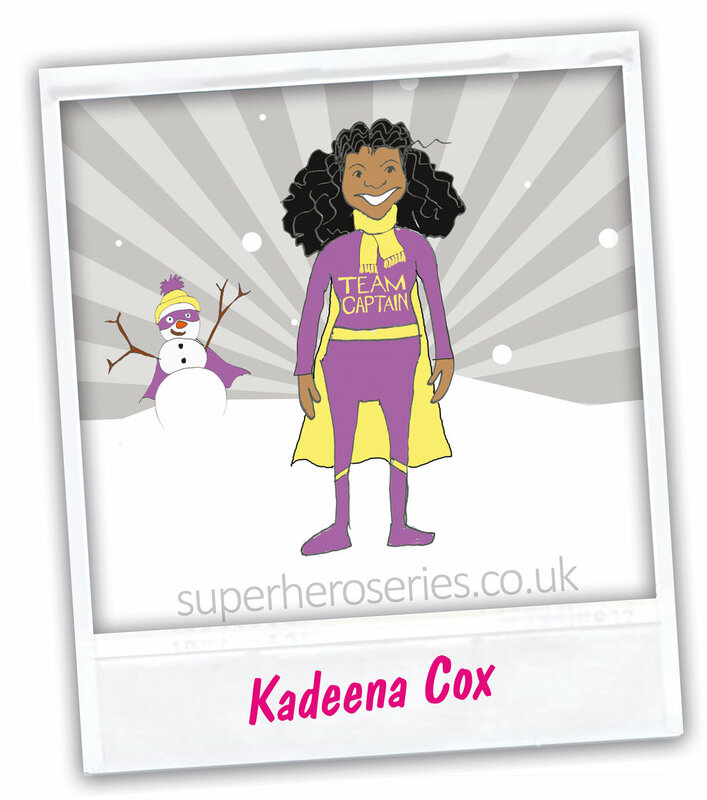 This will be her first-ever Superhero event and she’s looking for a very special Superhero to share it with her. This silver-tongued TV star and handcycle demon is a former Royal Marines Commando so knows a thing or two about digging deep and pushing hard! His lucky winning teammate will be chivvied and charmed in equal measure! The term ‘sporting legend’ can be overused, but this lady is the real deal. Our awesome ambassador will be swapping her horse for a recumbent trike on the day. Don’t miss your chance to team up with one extraordinary lady. The sprinting giant and Strictly star is once again heading up #Teamnpower and looking for a very special Superhero to join him on the day. Could it be you? Shaun has wheeled from Land’s End to John O’Groats, climbed Kilimanjaro and conquered countless gruelling challenges in his trusty wheelchair. Join him for this latest epic challenge! The former Royal Engineer and first-ever Invictus Games team captain can also list a Paralympic medal amongst his many achievements. Could he be your winning teammate? The TV star is certainly no slouch when it comes to sport. He played wheelchair basketball at national level and was two-time European champion with the GB Junior team, which he captained in 2004. One of the nicest guys on the TV circuit he’ll instantly put a smile on the face of his winning teammate. One of the select few to have won gold medals in the Paralympics, World Championships and European Championships, this aqua supremo is a true champion. Don’t miss your chance to unite with a real-life Superhero. The former soldier and die-hard adrenalin junkie will be throwing everything he’s got at this next challenge. A multi-talented surfer, mountain biker, skier and kyaker, his lucky teammate won’t find a more committed captain. What a career Stephen has had – and he’s still going strong! He’s represented Great Britain for more than 20 years, competing in no less than six Paralympic Games and has earned himself a staggering stash of international medals along the way. Meet this throw master!